Kerfoot, J.B. [Upward, Allen (pseud.)] The New World, 2nd ed. London: A.C. Fifield, 1908. Published December 22, 2014 at 4000 × 3000 in The Holiday Season is Here! 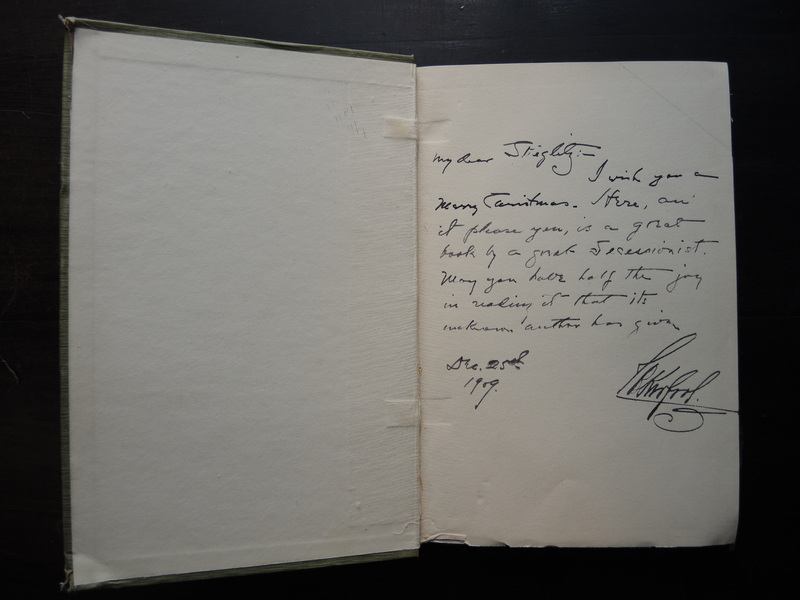 Inscription from J.B. Kerfoot to Alfred Stieglitz, December 25, 1909.